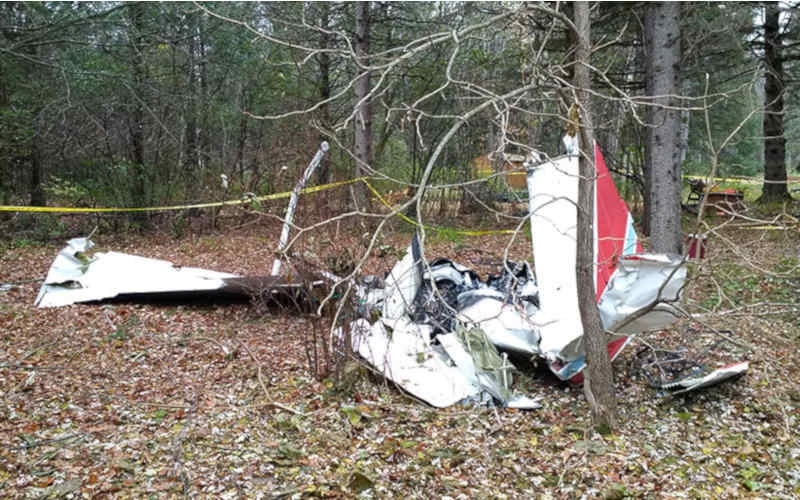 Beverley Harvey, a senior investigator with the Transportation Safety Board of Canada (TSB), explains a wing of the Cessna 150, with one person on board, was partially severed after the collision at around 10:10 am on November 4. The Cessna impacted the ground shortly after, resulting in a fire, and the pilot was fatally injured. 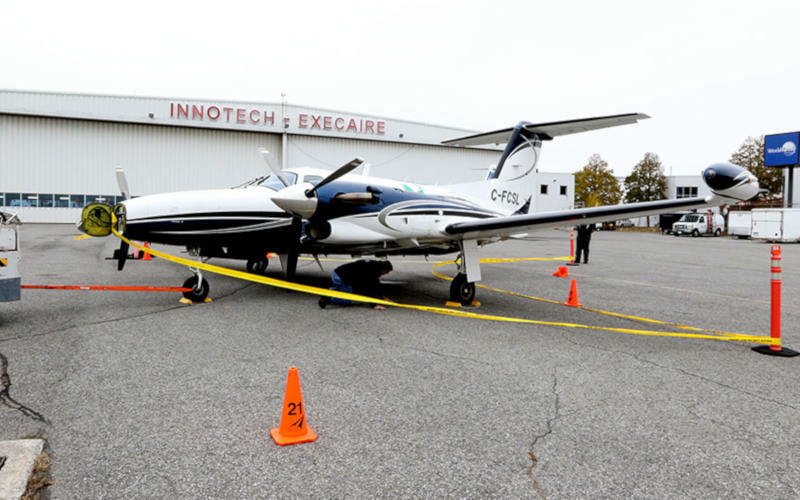 The second aircraft, a Piper PA-42 (Cheyenne III) with two occupants on board, was significantly damaged but able to fly to the Ottawa Macdonald–Cartier International Airport, where it landed at about 10:30 am. The aft fuselage, rudder, wings and main landing gear of the twin-engine Piper turboprop were damaged, but neither of its two occupants were injured in the incident. Harvey explains, that after an initial TSB review of the weather, the Piper was approaching CARP Airport, which is just outside of Ottawa, with a visibility of 20 statute miles at the time of the accident, and there were few clouds in the area. While the Piper was arriving into Carp Aiport, TSB is still determining the orientation of the Cessna. Neither of the aircraft were equipped with, nor were they required to carry, a cockpit voice recorder or a flight data recorder. The Cessna has been brought to the TSB Engineering Laboratory in Ottawa to help determine how the two aircraft came into contact. Harvey explains that by analyzing scratch marks and impact damage, investigators are hoping to get a more precise picture of the exact position of each aircraft at the time of impact, and what the impact geometry was. Work at the site is completed, but the field phase of the investigation continues. In the coming days and weeks, investigators will review audio and radar data from NAV CANADA, which will assist in determining the exact nature of the collision. Harvey explains TSB will also review aircraft maintenance records, pilot training, qualifications and proficiency records. TSB will also examine Carp Airport operations, procedures, airspace design and designation. Harvey emphasized it is important not to speculate or draw conclusions about the causes of occurrences, as there are often many factors that can contribute to an accident.